We just got home from Rock River, Wyo., where we’ve been doing some Ranch Rehab for Snowy Range Livestock. 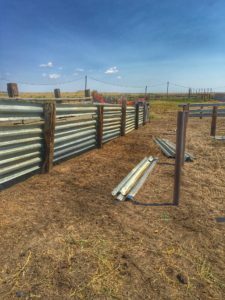 The customers requested we repurpose materials stacked for years around the ranch, and so we spent some time gathering railroad ties and guard rails from around the massive ranch to rebuild sorting pens and an alleyway where the team here will eventually work more pairs than most hands would know what to do with. 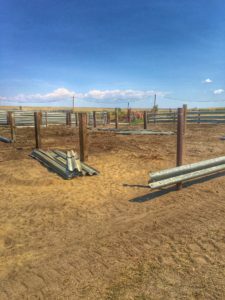 Posts and railroad ties set for sorting pens. The pens are starting to take shape. 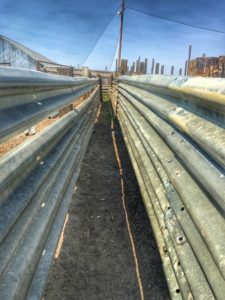 The guard-rail and railroad-tie pens will make sorting horseback significantly easier and will hold up to the major wear and tear cattle can place on a facility like this. Railroad ties are some of the sturdiest posts possible to install, and we used our Kencove Post Driver to get them deep into the sandy Wyoming soil. We’re narrowing the alleyway in the pens to making sorting horseback much easier. Now that we’ve got the dozens and dozens of posts set and everything measured off, we’re home building the custom gates for the project. 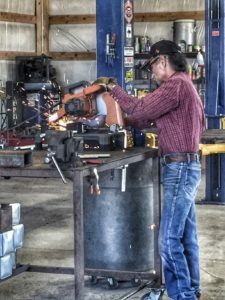 For all of the work we do, we prefer to build our own gates so that each one is measured correctly to the fraction of an inch. 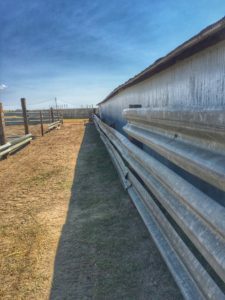 The pipe we’re using for this job is the heaviest we offer–because this many mama cows can be tough on any fencing. 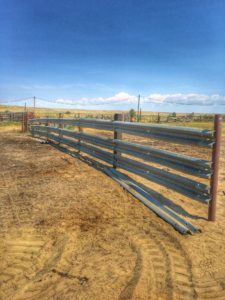 My dad, Brent, is my right-hand man and is getting really, really good at building gates and all that entails. 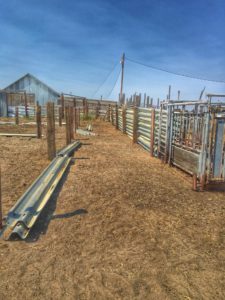 We also built a lead-up alley and hooked it up to an existing chute that’s in great working condition to make doctoring and preg-checking easier. Check back next week for more on our progress in beautiful Rock River, Wyo.